1. Soy Sauce – Most soy sauce contains wheat, which means any food made with soy sauce is gluten-full, including things like Barbecue and Teriyaki sauce. 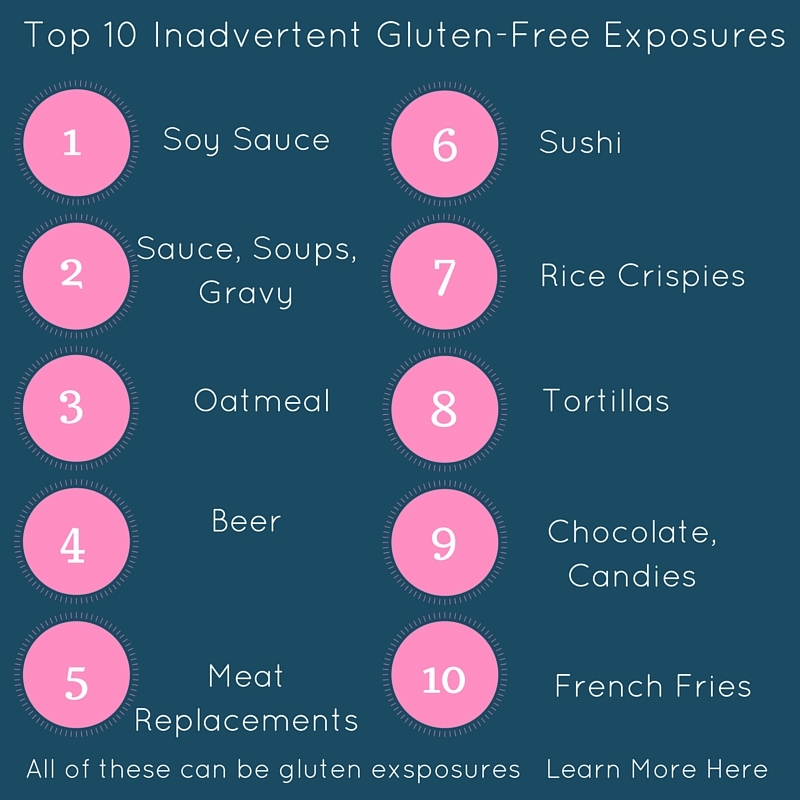 This is the reason that I don't encourage patients to eat at Chinese restaurants early on while gluten free. Almost all those sauces contain wheat. Newer exposures include the mechanically separated oats included in Cheerios, and other cereal products. 6. Sushi Soy sauce in the dipping sauce is obvious, but much sushi uses some soy sauce in the seasoning of the individual pieces of filling as the rolls are being made. If inexpensive sushi is made from faux crab or fish, that is also gluten-rich.